First of all, I didn't watch the Grammys. And I don't care. Well, I suppose that's not true because I read about them the next day, and listened to the reports on WDVE on their morning show. The idea of having Robin Thicke play with Chicago just seemed asinine. And pointless. I mean, why? Did I read correctly that Peter Cetera was with Chicago? If so wasn't that news enough for a washed-up band? I thought Cetera refused to even speak about them 10-15 years ago. The only good that came from that pairing was that it inspired 'DVE DJ Val Porter to do her excellent fake trumpet noise over the air on Monday morning. She does it well. If you ever meet her, politely ask her to do it. I've decided to go take some albums from a few months ago and write about them now, not exactly as full blown reviews but capsules. These are things that I liked and meant to write about at the time, yet I never placed them in a publication, but liked them enough that, even though there have probably been beaucoup write-ups of them already, they were worthy of one more. I'm also hoping that this might get me back in the saddle and write about newer things more consistently. This album came out right around the time that Vijay Iyer received his MacArthur Fellowship (known as the "Genius Grant"). It marks the third album in which the pianist has collaborated with poet Mike Ladd, after In What Language? (2004) and Still Life with Commentator (2007). While I still haven't heard the former, I really wasn't feeling it for Still Life. It seemed too bogged down in its "message" about the 24-hour news culture, how we really don't communicate, etc. There were also too many references to pop culture products used in an attempt to make points. Holding It Down is a whole different ballgame, taking a concept that could really go south but coming up with something that can get listeners to think long and hard about its topic. 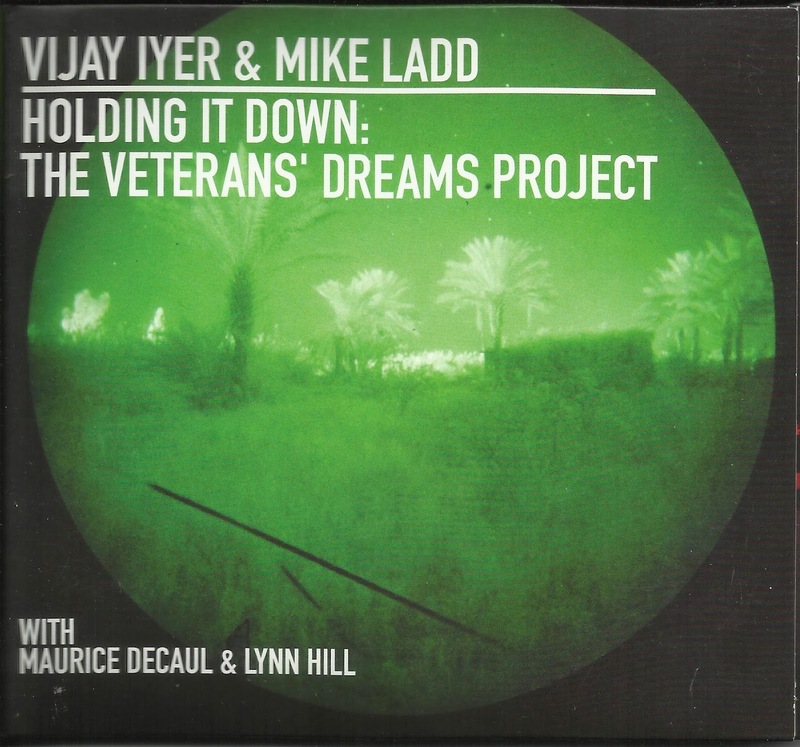 Iyer and Ladd collaborated with veterans of color who were served in Iraq and Afghanistan, interviewing them and getting them to talk about their dreams. Potentially it could have wound up as one of those projects which is noble (since it gives voice to people we don't hear about) but not much beyond that. Instead the words really get to heart of the way these vets feel - what they felt while serving and how that shapes the way they try to make it through day-to-day civilian life. "Capacity," which consists partially of Ladd interviewing Lynn Hill (who serves as one of the key voices on the disc) drives home this point. Hill, who piloted drones over Afghanistan, casually talks about "trying to deal with the guilt of what I did that day; and hoping that when I put the car in drive that it didn't feel like a joystick that I had been flying all day...when I was in bed, the last thing I would think about was the families of these other people, and how they look like me." When you hear about raw emotion like that, how such an experience can keep someone from doing an everyday thing like driving a car, it makes the whole concept of flag-waving and we'll-show-them armed force aggression seem appalling. I always try to live with an album for a while before writing about it. Sometimes the most striking parts of the music don't come out until the fourth or fifth listen, or during one of those times when you're listening with headphones on, giving it your complete attention. Sometimes the packaging needs to be experienced along with the music inside. 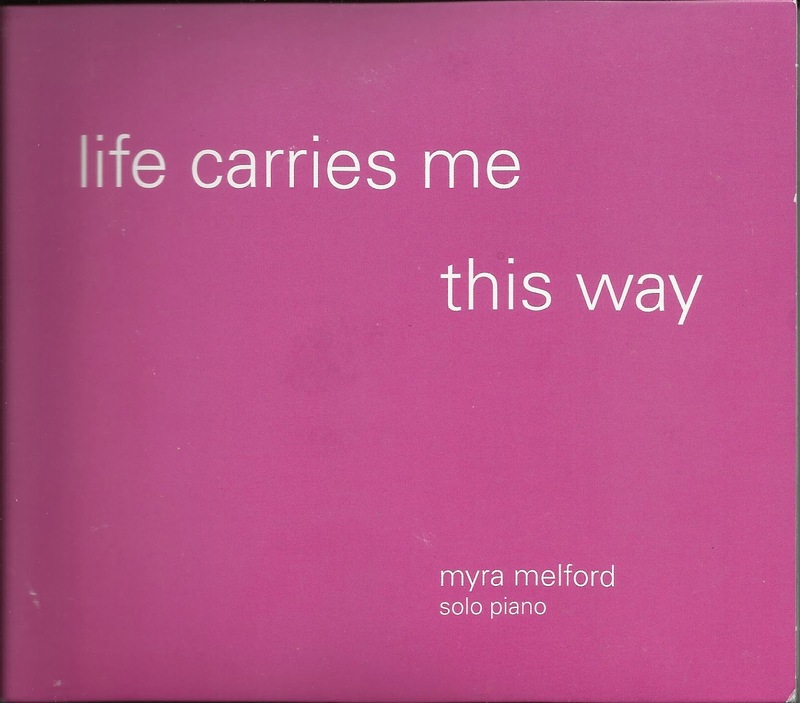 For Life Carries Me This Way, pianist Myra Melford received a series of drawings and paintings by artist Don Reich to use as inspiration. For her first ever solo disc, she came up with 11 pieces, each titled for a different Reich work. Each piece is recreated in the accompanying CD booklet. It allows listeners to look at each painting and find the musical connection between the late artist's work (he died in 2010 before the recording was made). Some patterns can be found. The brief "Barcelona" is similar to the opening of "Sagrada Familia" which follows it. The first moves quickly, like a series of falling water droplets, and the second starts at the bottom of the piano that way. But the odd angles of "Piano Music" may or may not be linked to the Cecil Taylor-esque attack Melford displays in that piece. Melford uses three words to compare his approach to her muse's: lyricism, abstraction and rhythmic mobility. All three can be felt in the music. She can begin in a calm mood, ushering in listeners and then stopping with a gentle jolt. The theme of "Attic" begins and ends with both hands moving together in staccato lines, but adds some invigorating chord changes when it moves beyond that. "Curtain" is marked by slow waves of chords that move in a steady rhythm up the piano. In last 45 seconds, the volume must be cranked to reveal that Melford is not actually sitting silently but continuing the flow on the very highest keys. Although this is her first solo piano disc, my first exposure to Melford was a solo piece on a Live at the Knitting Factory compilation in the early '90s. When a trio album was released a short time later, it was interesting how the same piece, "Some Kind of Blues," maintained the same shape, with bass and drums coming in at just the right spots to boost it. This is worth mentioning because Melford always plays with a sure sense of direction and that is true here as well, from the sweetness of "Park Mechanics" to the almost lonely feeling in "Moonless Night."